Succulents are so popular right now and right fully so. They are stunning and come in such a variety. They are easy to pot and make wonderful wall and table decorations. They are easy to grow if you follow the correct growing tips. But, what about those ones you thought would remain compact and small and instead of over grow and stretch out. Here are a few comments. 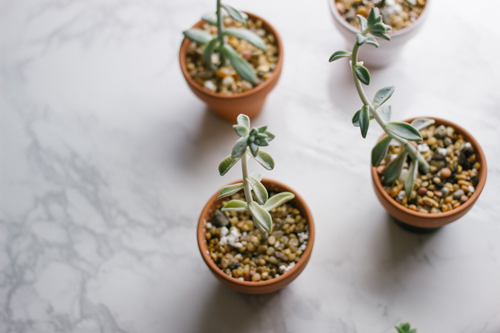 When you have potted indoor succulents they are usually slow growing. But, when they don't get the light they need they tend to stretch out, reaching for any light. 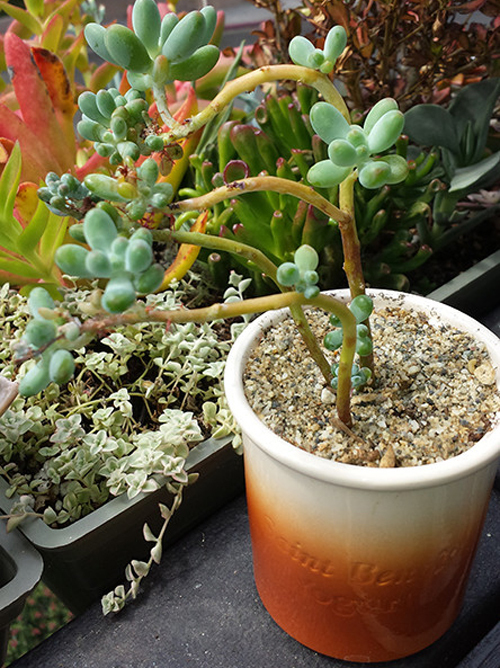 The potted succulents will bend and twist to get the light they need. Even though potted succulents look better if they get the light they need they will still grow well in low light. The leaves will be farther apart and the stems will twist but they will still grow. If you place a pot of succulents in low light it will eventually die. If you move the plant to a better light situation it will not go back to it's original shape. Basically what you want is for your potted succulents to get as much indirect sunlight as possible. The next time you see them leaning toward the light just move them closer so that they won't stretch out. 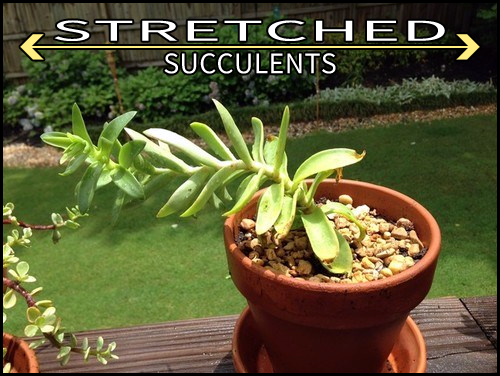 succulents, potted succulents, stretched out succulents, indoor succulents.